BOWLING GREEN, Ky. (WDRB) -- Mold has prompted Western Kentucky University to close one of its dorms. 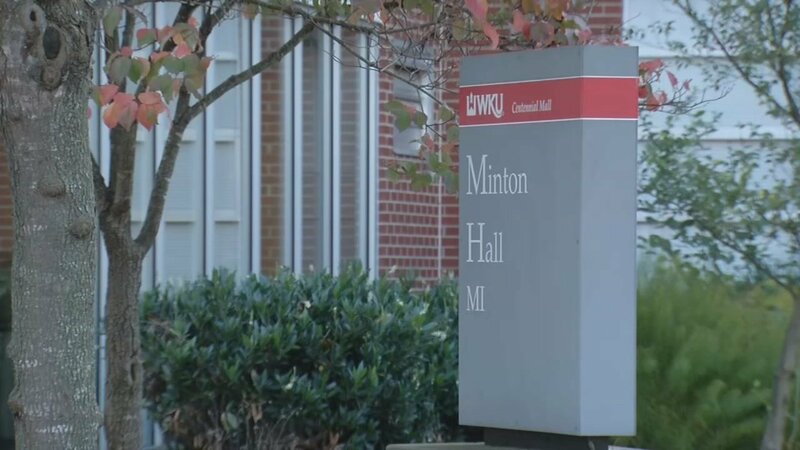 According to a news release from the university, WKU will close Minton Hall for the rest of the fall academic semester "in a proactive effort to mitigate mold found in mechanical spaces within the facility." As a result, the dorm's 348 residents will be relocated to other on-campus housing. One of those residents, Natalie Duggins, said she and her roommate got sick soon after moving into Minton Hall. "We had horrible coughs," said Duggins, who's from Louisville. "We literally could not breathe." The school first moved Duggins and her roommate to a different room. Now, they're being told they must leave the building. "Our first and foremost concern is the health and well being of our students," Brian Kuster, vice president for enrollment and student experience, said in a statement. The 348 students affected are being moved to empty dorm rooms elsewhere on campus. WKU Spokesman Bob Skipper believes unusually wet weather, combined with mechanical issues in the dorm, produced the mold. "Results of our air quality monitoring indicate that the type of mold present in Minton Hall is common mold and poses few health risks, but it can trigger problems in those who are allergic or who may have respiratory issues," Kuster said. Kuster said the ceilings inside the building will need to removed in order to solve the mold problem. The work will be completed by a private contractor. "We know this will be inconvenient for our students, but it is the most prudent and proactive course of action," Kuster said in the statement. "We will provide all the support necessary to get students relocated and settled quickly."